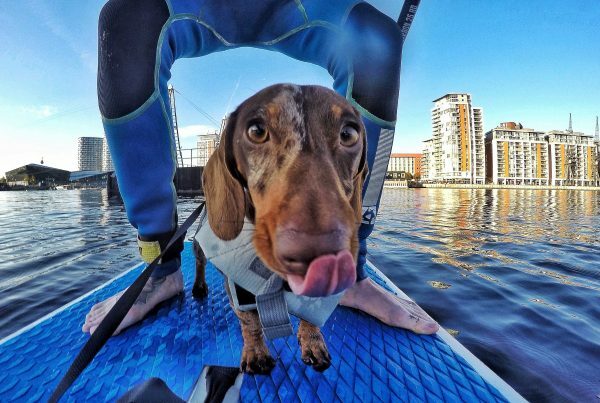 Spring time, (dog) walks time. Accomplice the unexpected sunny weather, my husband, our furry companion and I headed to Lee Valley Park in Hertfordshire, where we enjoyed a very a nice walk and dog agility course! We got there by train, getting off at Cheshunt (see map here). Turning left after the bridge over the rail track, just entered the park, we found the dog activity trail. This includes several jumps, a woody weave, an ‘A’ frame, hoops, a tunnel and some ‘high walks’. The area develops in lenght (it is 550m long according to the sign displayed on one end, see picture above), so you get to exercise as well. We found the area well mantained, having a curated lawn, as well as trees and bushes, and no rubbish nor dog mess were spotted during our visit! Here you are some pics of the area. Our dog just loved it! 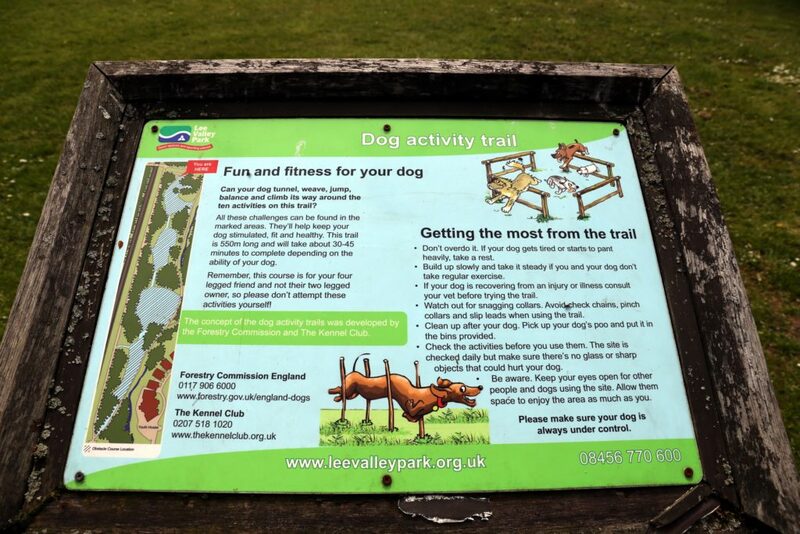 The only pity is that the dog activity trail is not enclosed. Even though on one side there is the railway’s fence and on the other a creek, there are two paths running along the two sides, so you might encounter bikers, children playing with balls, other animals, etc., and you also have to consider that the rail cross is very close. 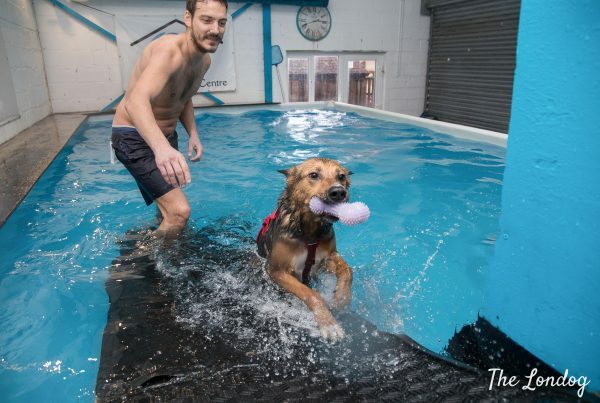 Therefore, if you have an excitable dog or you are still working on recalls, you could bring and use a long line as I did, to ensure you keep your dog under control. I found the rules regarding dogs in the park set out in the Forest Dog Code. Far from Cheshunt? Good news! 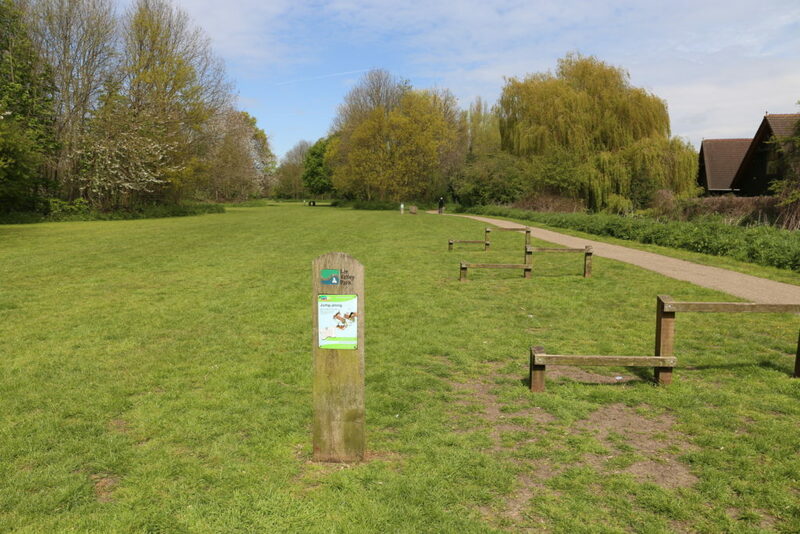 After visiting Lee Valley Park, I dug into dog activity trails to find out more and, guess what? Lee Valley Park’s trail is not the only one! In fact, the Forestry Commission of England carried out the project on a larger scale. All started with a concept developed and co-funded by the Forestry Commission and The Kennel Club, which led to the opening of the first pilot dog activity trial in Coatham Wood, near Stockton in Yorkshire, back in 2008 (the concept is explained in detail in an interesting document, the Dog and Human Activity Trail Design Guidance and a online is available a video documenting the trail). 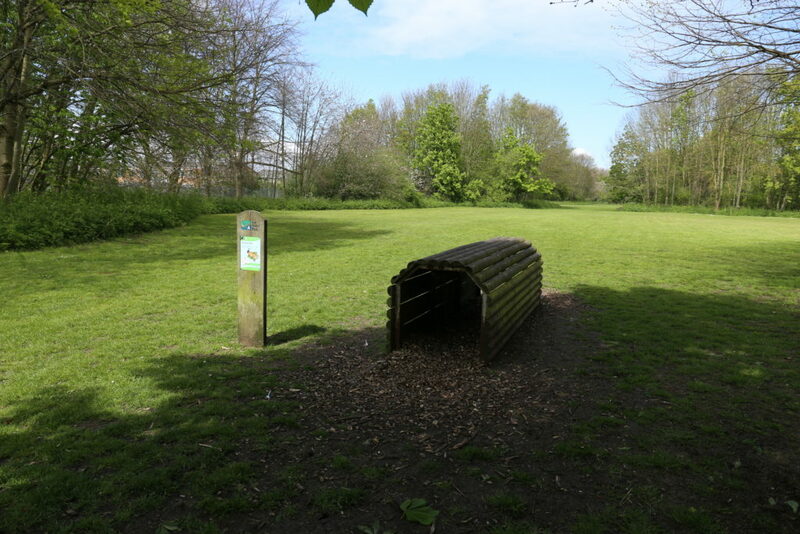 The person behind the dog activity trail concept is Stephen Jenkinson, who also wrote an article entitled ‘Dog activity trails: promoting fitness and fun with your best friend‘ for the 2011 summer issue of the SCAS Journal. Another dog trail was later built at Thorndon Country Park in Brentwood, Essex (I found a description of it on Essex Council’s tourism office website here) by the community group called Thorndon Guardians. According to the Thorndon Guardians’ website, the official opening was held in April 2015. 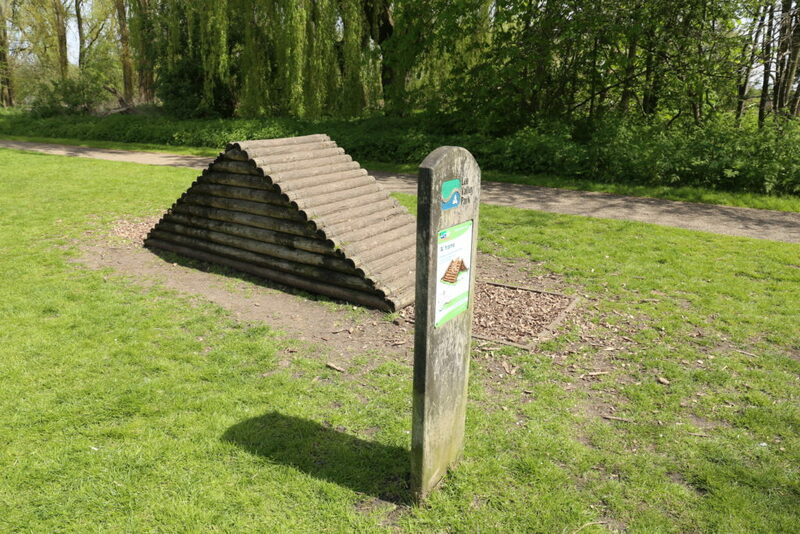 Rushcliffe Country Park in Ruddington, Nottinghamshire, also hosts a similar dog activity trail. According to its official webpage, the area is fenced and gated and can be used freely by the public (although it can also be hired on certain conditions). 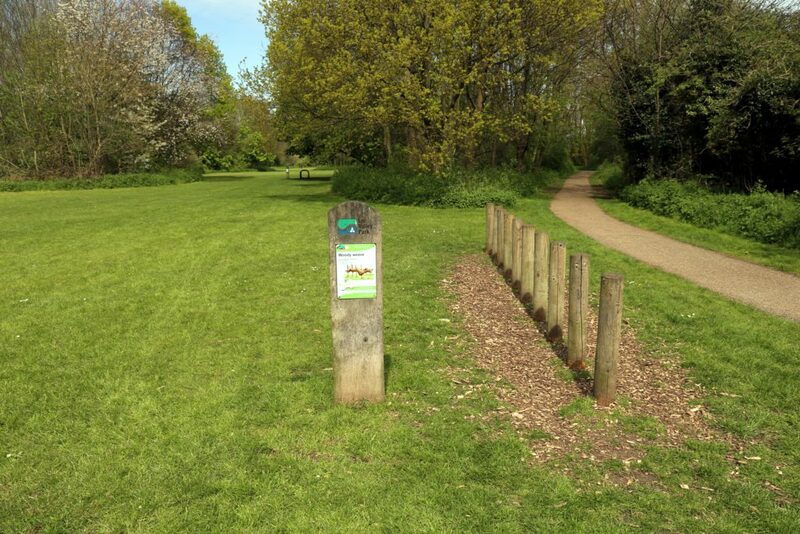 A map displaying the location of the area and showing the dog-free and dog-on-lead zones is available. I also contacted the Forestry Commission to confirm the existence of a dog trail in Wilverley Wander, having found unofficial sources mentioning that. However, I was told that the dog agility trail was removed due to natural deterioration of the structures; “there is intent that a new feature will be installed, however, the plans for this have not yet been discussed so I’m afraid it is difficult to predict when this may happen”, added the person I spoke to. 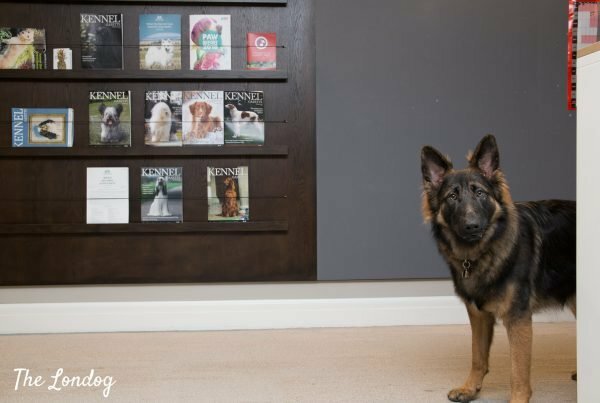 Previous PostWhere to go: To a fun dog show! Many thanks for your message, Steve. Indeed, I believe it is a great concept. Good job! A very helpful and informative article. 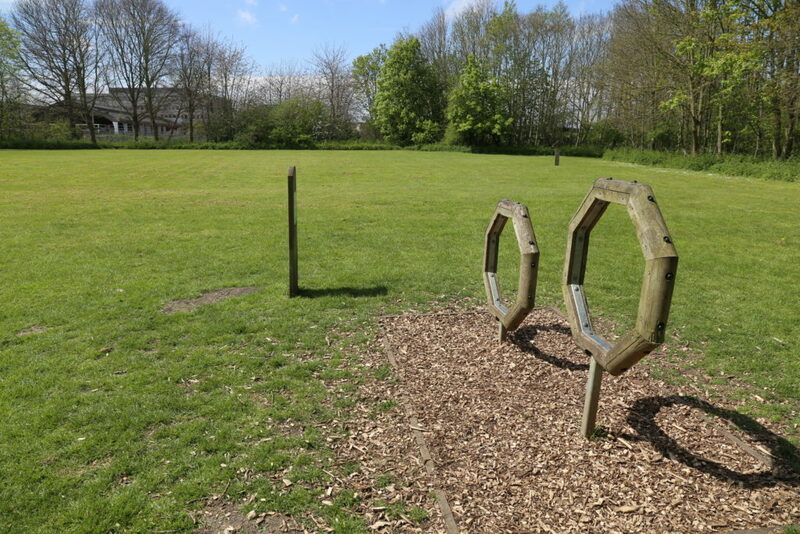 We are Jubilee Park N9 and currently planning an Activity Trail with Enfield Council. Stephen Jenkinson was a great help in getting the project this far. Any further advice would be very welcome. thank you for reaching out! I have just sent you an email.